Has winter got you feeling low energy or a bit run down? Lacking in lustre? 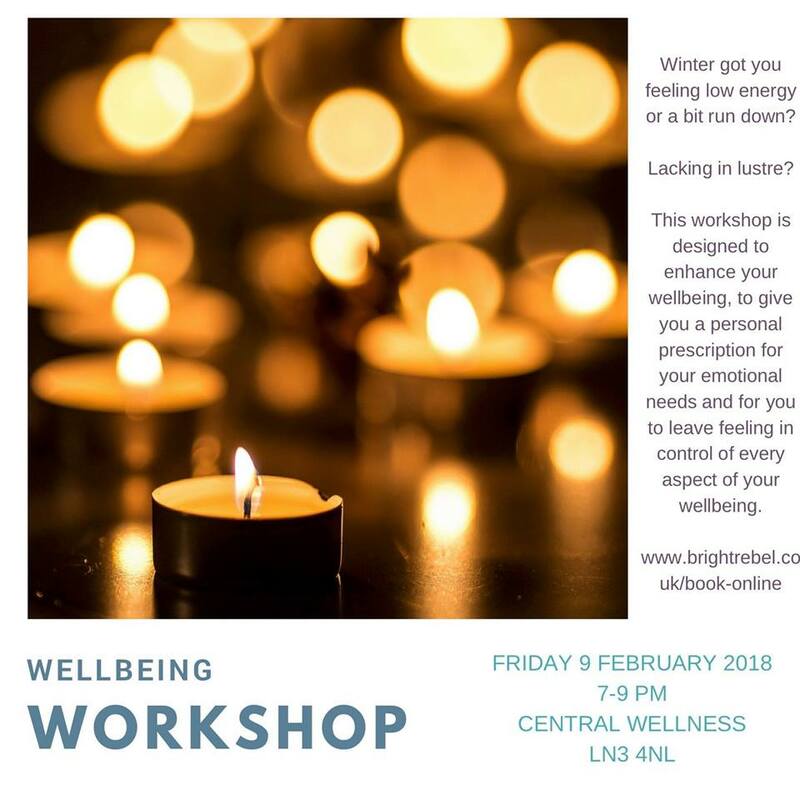 This workshop, with Angharad Boyson, founder of Bright Rebel Coaching, is designed to enhance your wellbeing, to give you a personal prescription for your emotional needs and for you to leave feeling in control of every aspect of your wellbeing. Please visit www.brightrebel.co.uk for more information about Angharad and Bright Rebel Coaching.